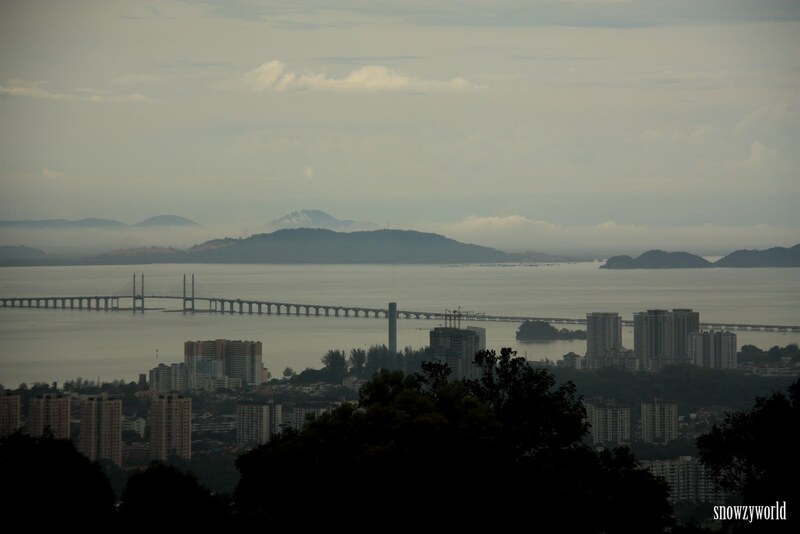 The state of Penang is made up of 2 parts, Penang Island, a turtle shaped island 8km west of the mainland in the Straits of Malacca, and Seberang Perai, a rectangular-shape district connected to the mainland. 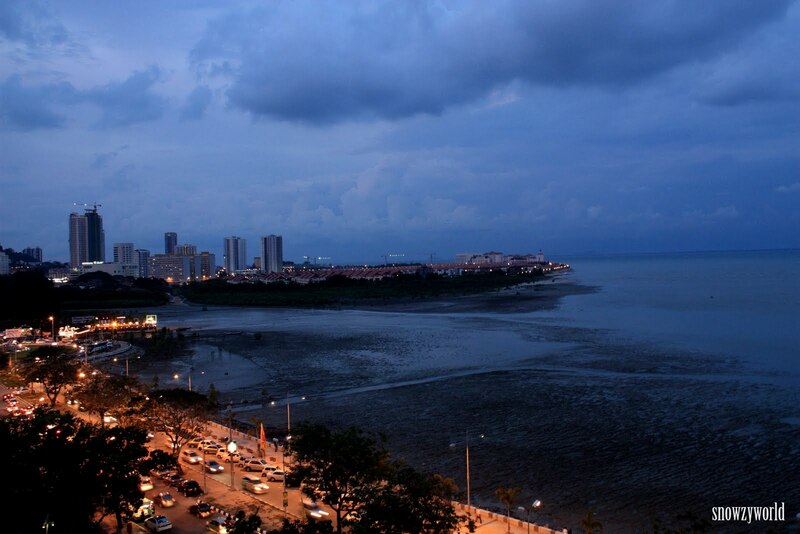 For the 4 days at Penang, we had rented a car and did a drive round the Penang Island. 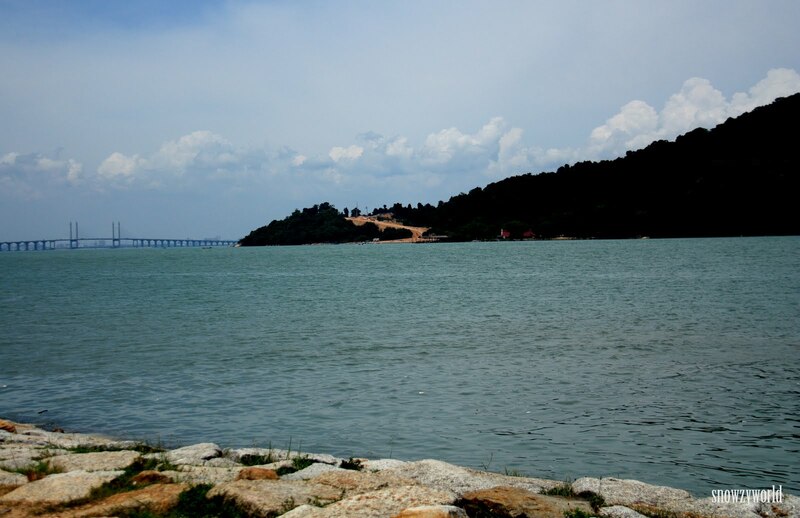 While it’s very much a leisure drive around, it’s not without pain especially at Georgetown which is Penang’s largest city. Traffic was really bad around Georgetown. After our 3 days heavy weight food feast, we decided to do some sightseeing. 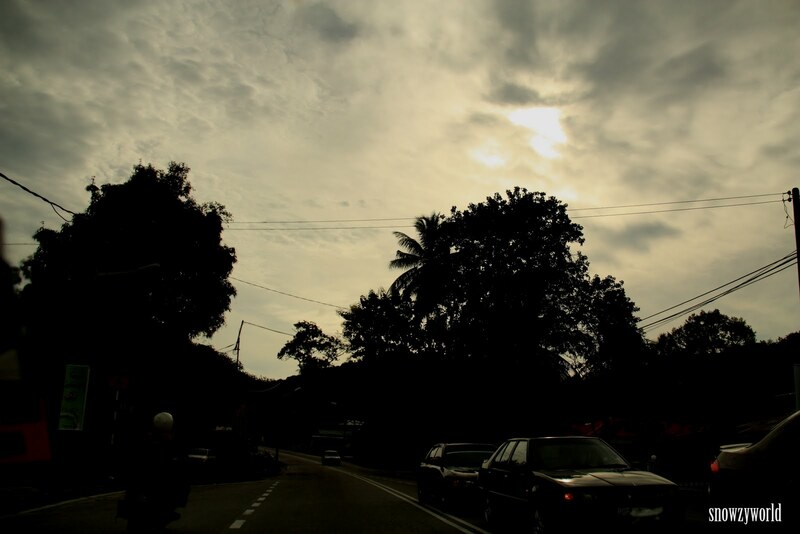 From the airport (after sending the other kakis to airport for their flight back home), instead of driving the same expressway back to Georgetown, we decided to go west ward via Balik Pulau, on to the northern coast to catch sunset and back to Georgetown for a massage. 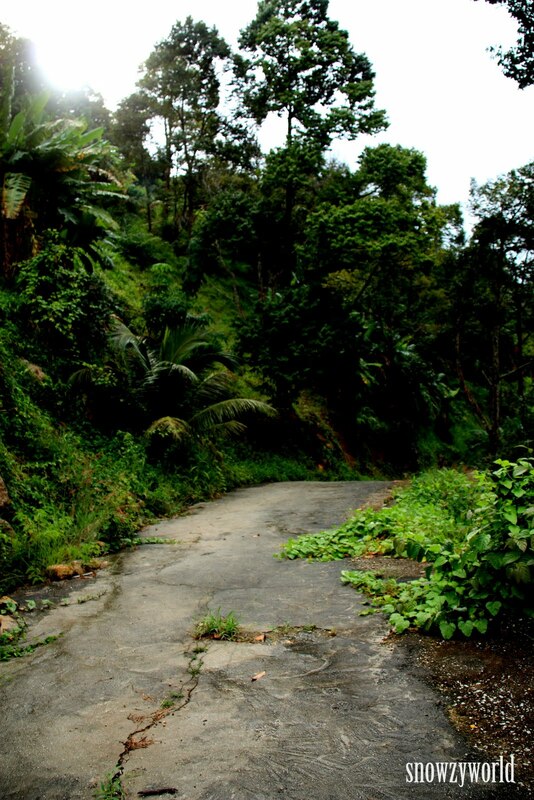 The west to north route was a scenic route where you actually pass through mountains going round and up and down. Traffic was smoother here than compared to the northeast and east of the island. One thing good about self-driving during a trip is you can stop whenever you want and stay for however long you like. 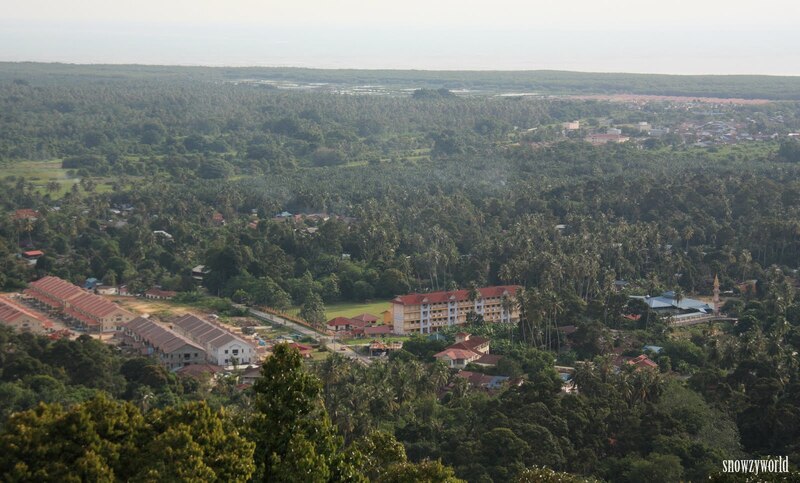 Along the western route, we passed by the town of Balik Pulau than head straight on to Batu Feringgi. 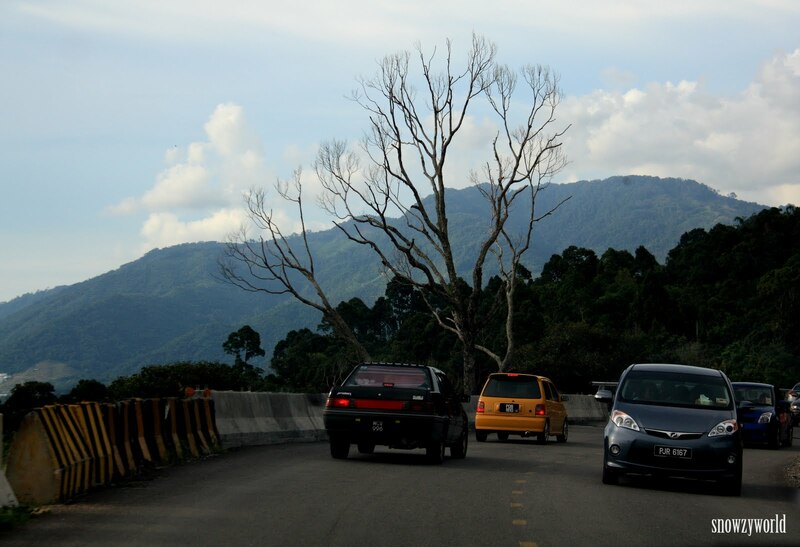 Along the way, we saw a viewpoint which is actually an entrance into a durian farm. Well, we did not go in, but standing at the viewpoint to take the picture of the town below the mountain. 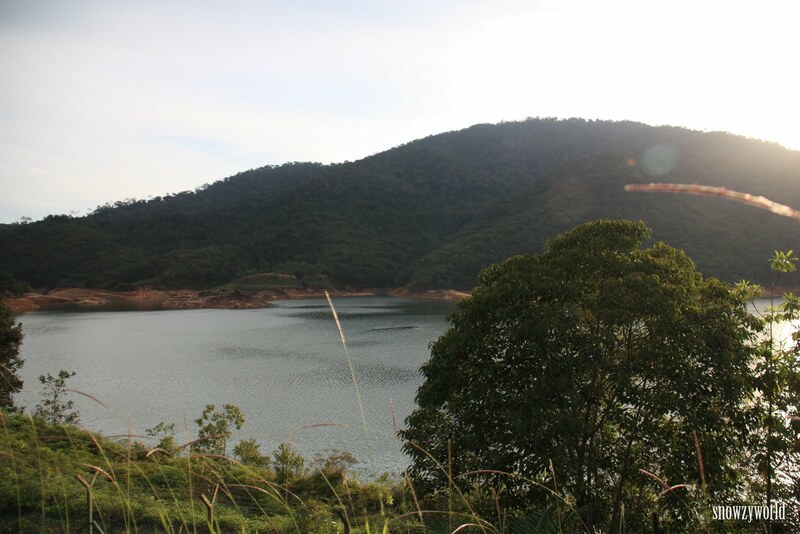 Further down is the Teluk Bahang Dam. 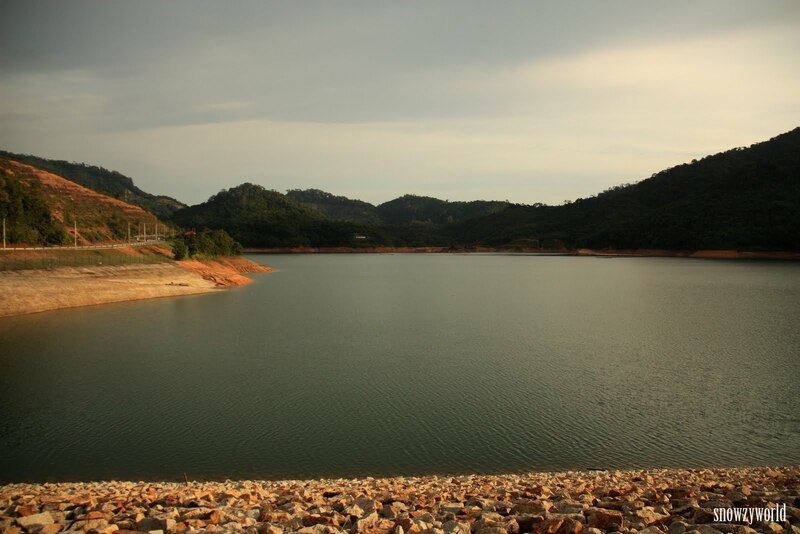 This dam was completed in 1999. 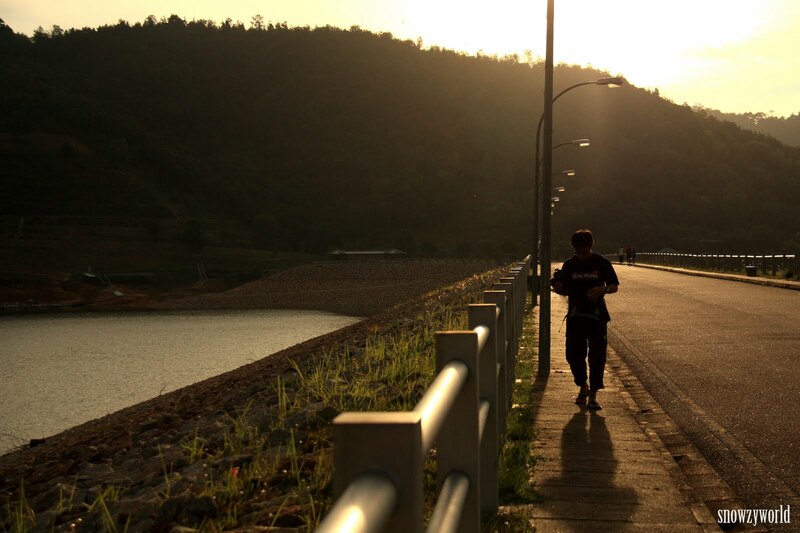 The surroundings was scenic and peaceful. It’s also a favourite picnic spot for locals. 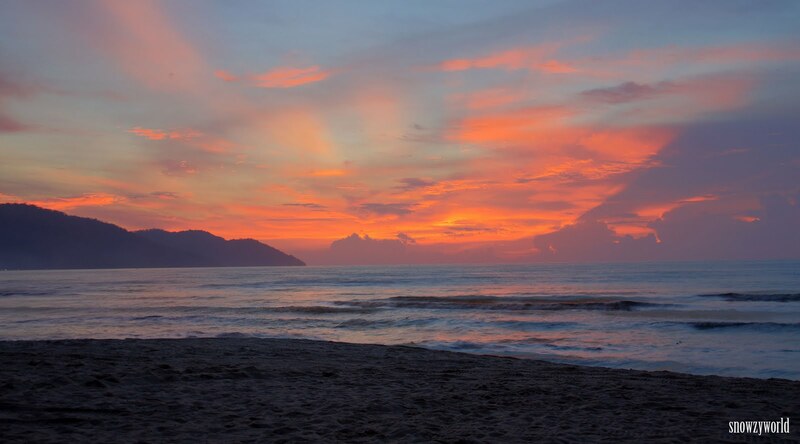 At about sunset we finally reach the northern coast, including Batu Ferringhi that features the island’s best beaches and resorts. We drive round, found a nice beach and decided to stop here to see the sunset. 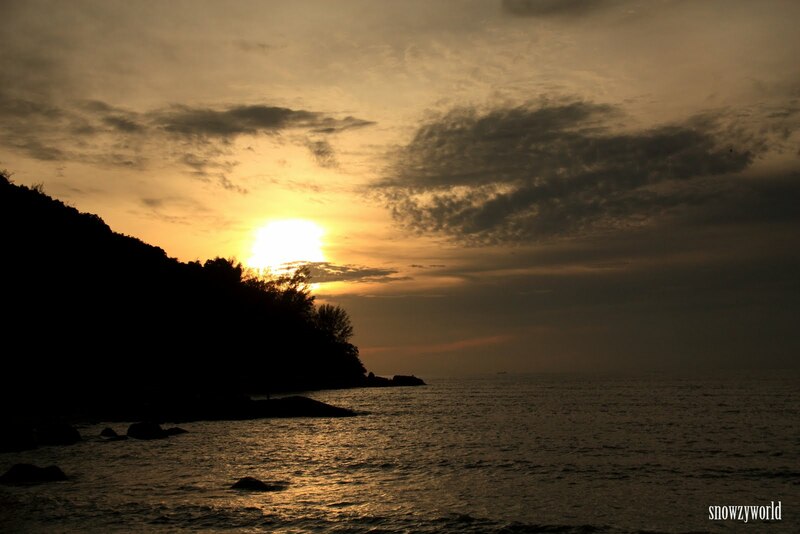 Enjoying the sea breeze, listening to the orchestra from the sea, the sky lit up in bright orange smiling at us. 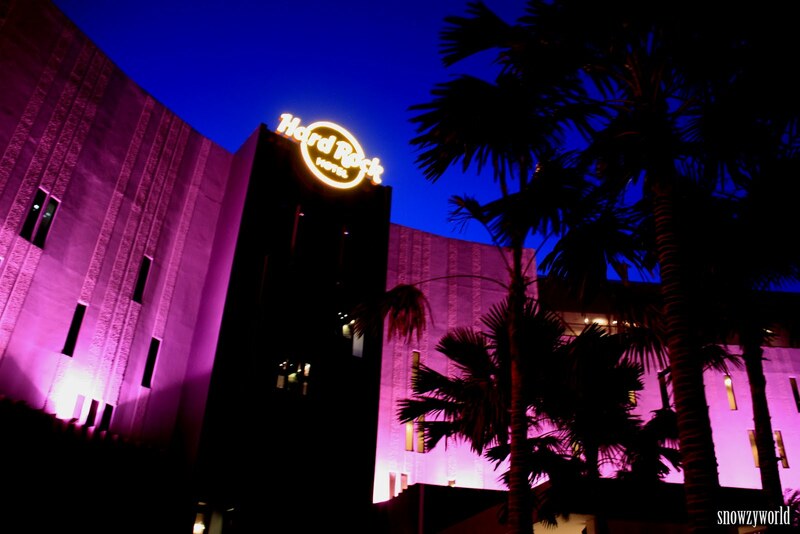 I know Hard Rock Hotel is just further down Batu Feringgi, well I want to get the shot glass since I am here. Did not know that we will be welcome for a surprise by mother of nature. We saw stunning colour display at the beach of Hard Rock Hotel! 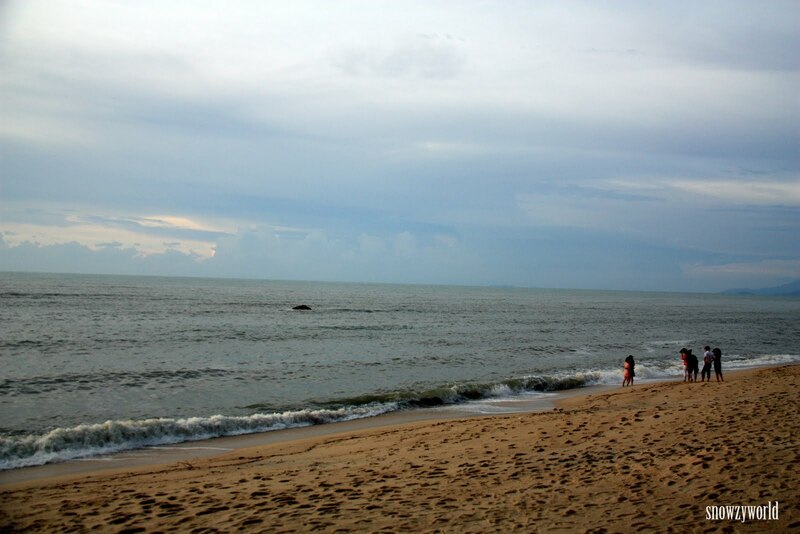 Batu Feringgi is one of Penang’s most popular beaches and has drawn tourists over the years to its sandy beach, I do hope 1 day I will have a chance to come back and stay at the beach front hotel. From here onward to Georgetown the road is actually a winding stretch till you reach Gurney Drive. 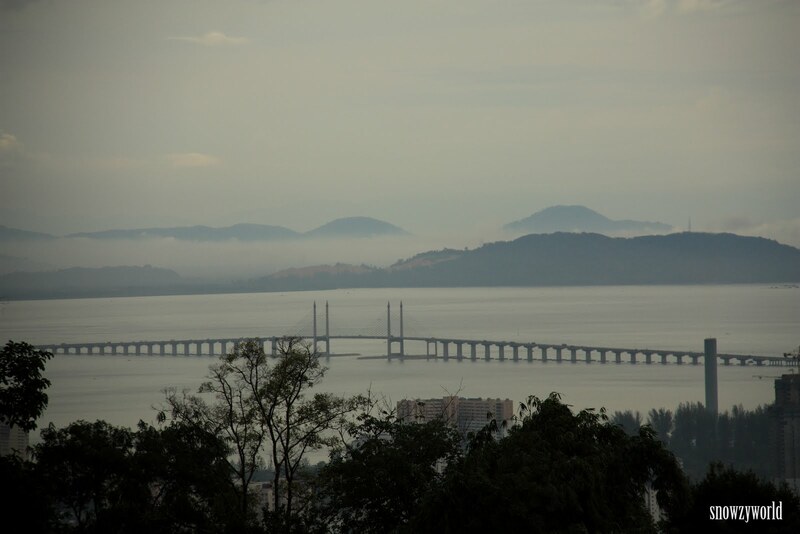 Other than the scenic drive, we also did some trekking in Penang. 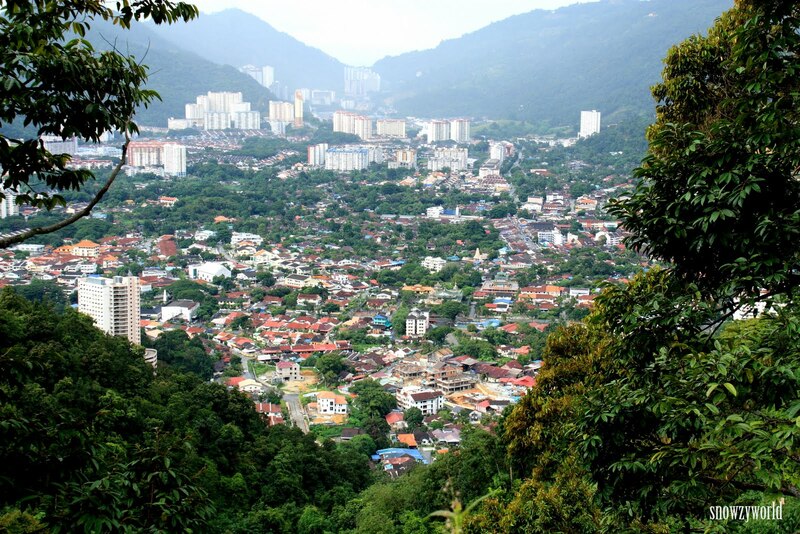 On an early Saturday morning, we decided to trek up Penang Hill, and take the funicular train down Armed with information from the internet, we drove to Air Itam and start our trek up. 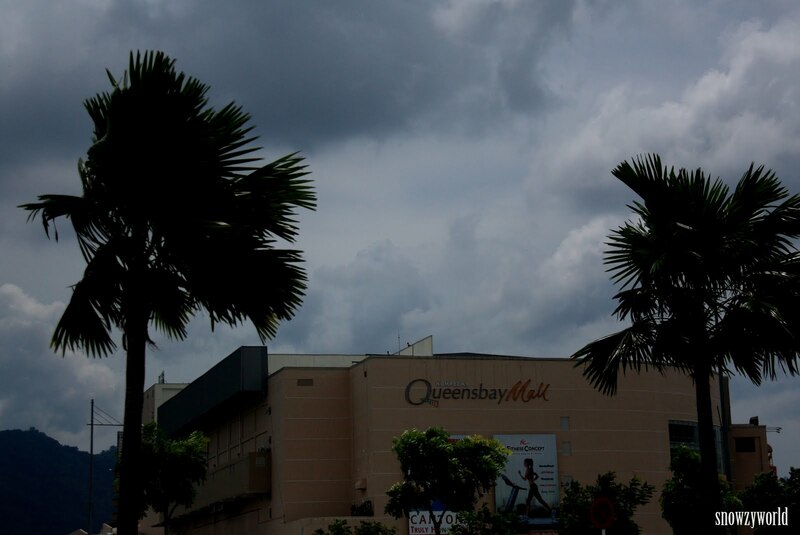 The skies got gloomy with dark cloubs floating above us and down came a heavy downpour! We walk faster and seek shelter at a little shrine hoping for the rain to stop soon. It did and we continued on, but the rain came and go and in the end we realise we lost our way!!! Seems that there’s a new road and we just went off track. The weather was not good and still drizzling, the road was slippery now and it’s quite late. We decided to head back, anyway we’ve managed to catch some nice view while we are lost. Well, we were somehow lucky as later we realised that the train was actually closed for upgrading work since February 2010! Haa, blessing in disguise I guess.